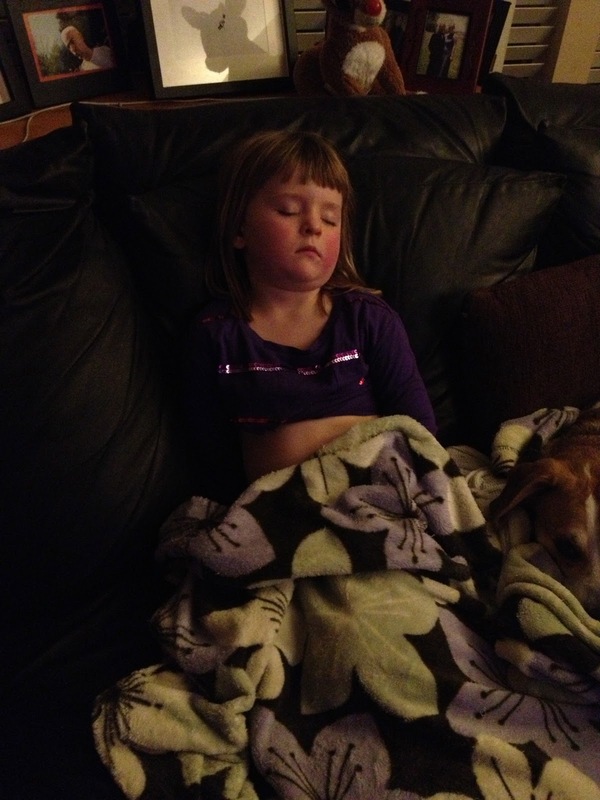 Tuesday night Molly passed out on the couch while watching tv and sitting up right around 7:30 pm. 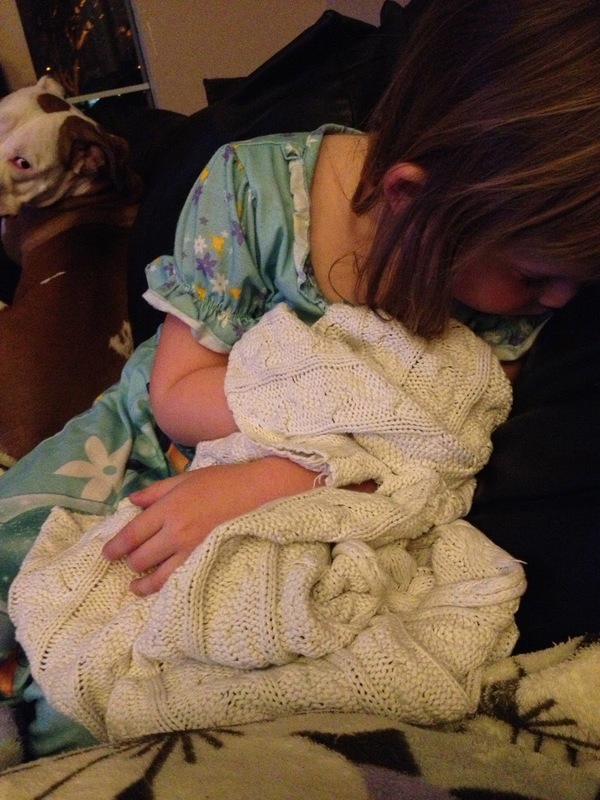 In hindsight, I should have known something was up when my Eskimo child asked for a second blanket. When I went to move her to bed she felt really warm, but I chalked that up to the two blankets. Then she woke up and proceeded to meltdown. I took her temp at was 102.1. Got some meds in her and let her stay up until it went back down to 100.1. The next morning it was 99.9 and stayed in that range most of the day. Molly was extra clingy, but would have bouts of normal activity followed by complete lethargy. 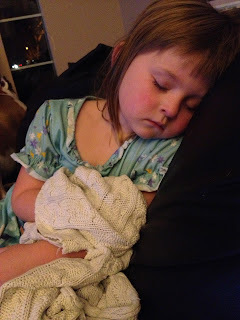 It was a long day, but by that evening her temp was back down to normal. That night she passed out on the couch around 6:30 pm. Once again sitting up right. Every time I tried to move her to bed she'd wake back up and freak out. So we stayed cuddled on the couch for a bit until I was sure her temp had not returned. I finally got her in bed and she seemed back to normal the next day. However, little one needs to be fever free for 24 hours before returning to school so I intended to keep her home again. Another mom at the school ran into child care issues and was fine with the fact that it had not been a full 24 hours that Molly was without a fever so we took care of her son while she worked at the school. His name is Teyo. We hit Lowe's for some paint for the bedroom and then went to In N' Out for lunch. Molly insisted on peeling his Cutie orange for him and make sure Teyo had plenty to eat. Teyo promptly fell asleep in the car so we ran as many errands as we could with him in his car seat. I definitely think ALL businesses should have a drive thru! 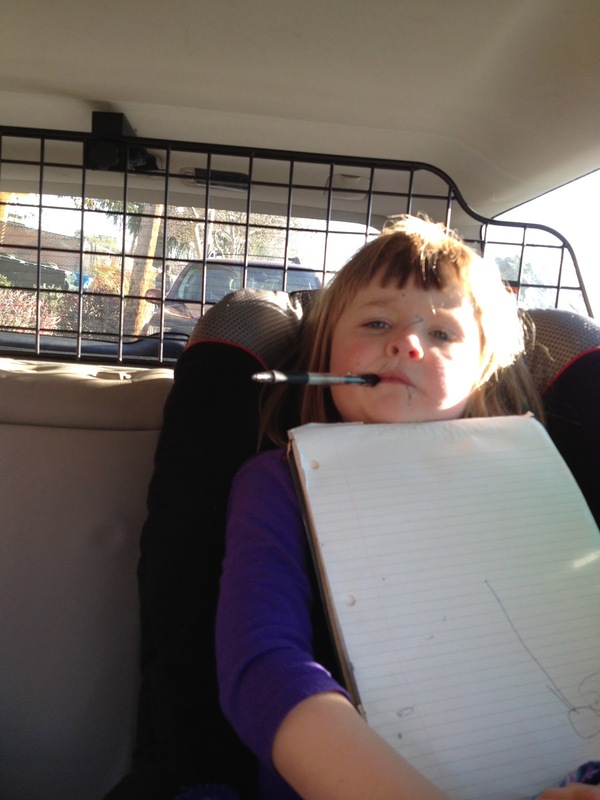 Molly was a champ and practiced her writing while Teyo slept. However, she did want to take him home for a sleepover and couldn't understand why we had to take him back to school to his mommy.